EDMONTON—The federal government is facing another lawsuit over its failure to protect endangered species. "We're asking for the minister to follow the law,'' said Brittany Verbeek of the Alberta Wilderness Association, which filed a lawsuit last week about native cutthroat trout in Federal Court. 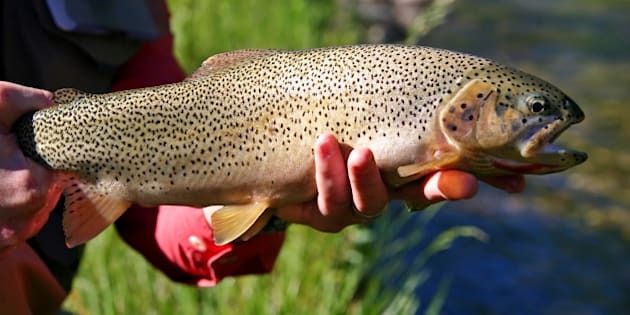 In its application, the association points out that populations of native cutthroat trout in Alberta's southwestern foothills have been declining badly. A recent survey found that virtually all southern Alberta streams that spawn such trout are threatened by industrial development or overuse. Cutthroat populations have fallen 95 per cent from historic levels. In March 2014, federal scientists developed a recovery plan for the fish, which included identification of critical habitat. Under the terms of the Species At Risk Act, Ottawa had 180 days to issue protection orders for that habitat. Those orders are almost exactly a year overdue, Shaun Fluker, the association's lawyer, said Tuesday. There are a dozen other fish species also waiting for protection orders, he added. Fluker said Fisheries and Oceans officials have argued in correspondence and at meetings that the streams in question are protected under the general terms of the Fisheries Act, which forbids the destruction of fisheries. But that protection is at the discretion of the minister and can be overturned under certain circumstances. Protection of critical habitat under species-at-risk legislation can't be overruled by politicians. Fluker said Federal Court has already rejected the government's argument in previous cases. In the survey released earlier this summer of 54 small streams and rivers, University of Calgary adjunct professor Lorne Fitch found that sediments from logging, road-building and recreational activity such as use of off-highway vehicles are choking trout streams. Scientists suggest land that contains trout streams shouldn't have more than just over half a kilometre of trail, cutline or road per square kilometre. Fitch found the disturbance density in parts of the Oldman River watershed is nearly 10 times that. Other native trout species, such as bull trout, are also affected. Biologists used to count more than 100 bull trout spawning beds on one creek. Last fall, after the region was logged, Fitch counted 15. In February 2014, Federal Court ruled that the environment minister and the fisheries minister broke the law by failing to live up to the deadlines in the Species at Risk Act. In four different cases, the government failed to propose recovery strategies after the species were formally identified. It missed statutory deadlines by up to 6 1/2 years. Justice Anne Mactavish said there was a major systemic problem in the two ministries charged with protecting endangered and threatened wildlife. Federal recovery strategies or management plans are currently required for 192 species, of which 163 are overdue.